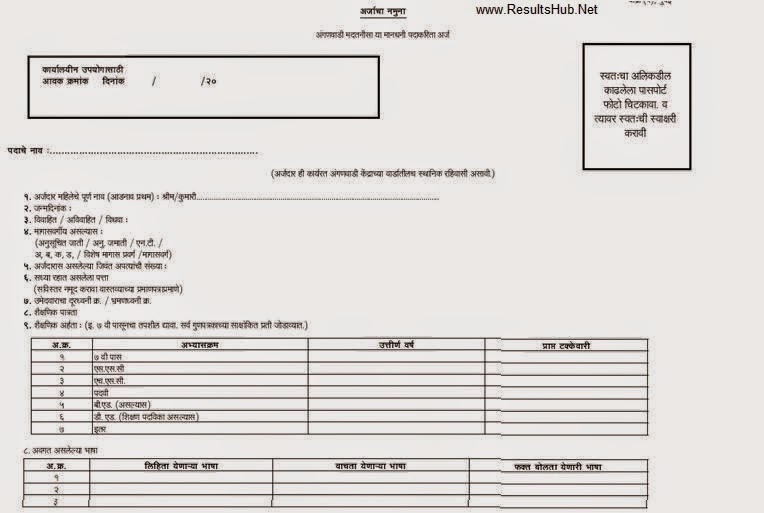 Mumbai Anganwadi Sevika & Madatnis Bharti 2015 Details & Application Form is given below. Also related important links are given below. 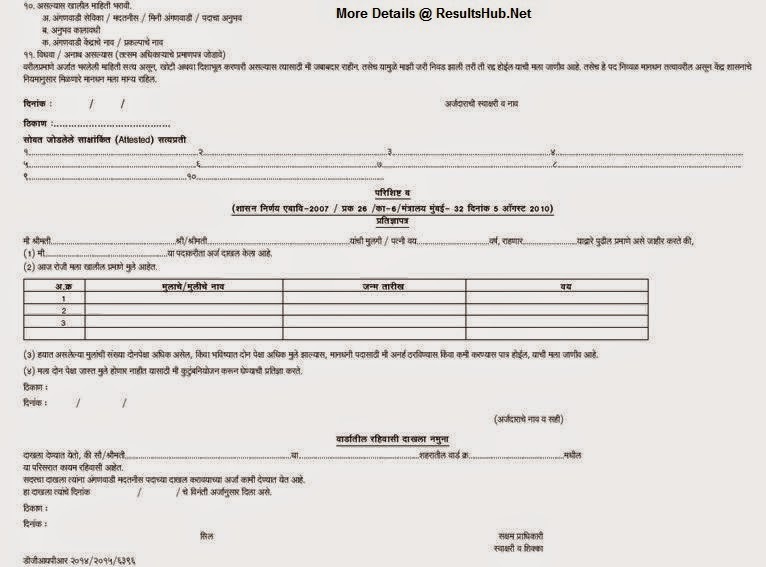 Read All details & Apply For Anganwadi Sevika & Madatnis Bharti 2015. There are 21 Posts are there. Last Date to apply is 11 April 2015. (15 Days From Add Published 26 March 2015) . 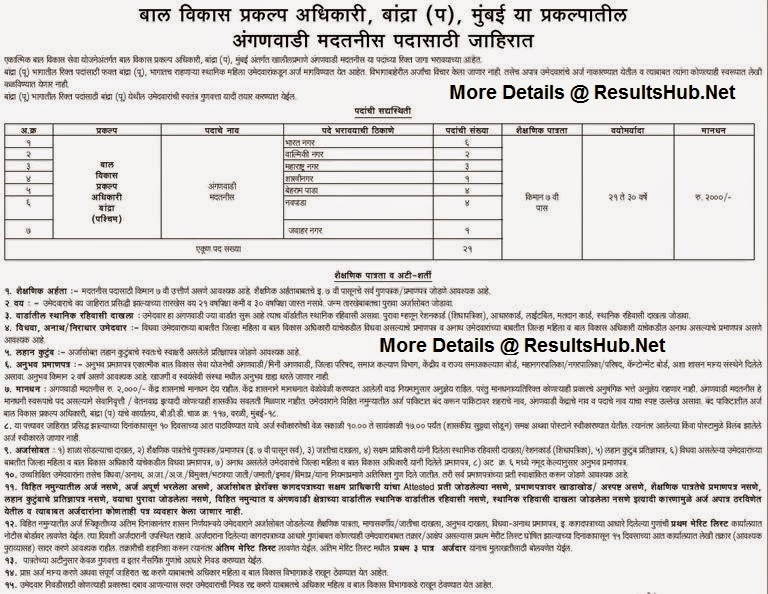 This Recruitment is under Bandra Bal Vikas Prakalpa Division. I will work hard & also achive my gols.